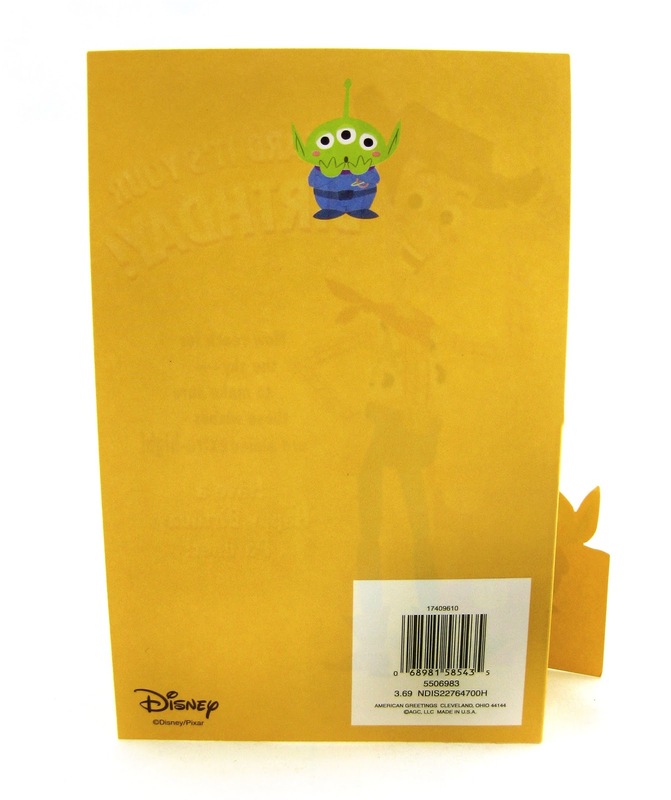 Do you have a little Toy Story fan in your life with an upcoming birthday? Well then, do I have the card for you. 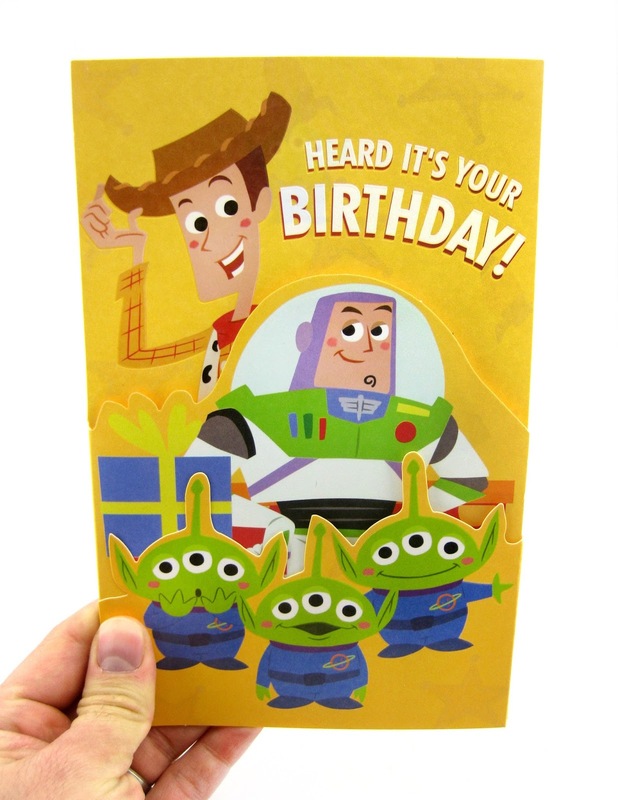 This fantastically designed Toy Story birthday card, featuring Woody, Buzz Lightyear and a trio of Pizza Planet aliens, has just hit Target store shelves! Normally I wouldn't be buying and posting about random Pixar greeting cards (since there are so many out there), but this one really stood out to me when I saw it. The illustrations of the characters are my absolute favorite style; so not only is this a great birthday card, but a great art/display piece too. I was especially excited when I saw this, and knew I had to get it, because my nephew's Toy Story themed third birthday (he's a HUGE fan) is coming up in the spring. 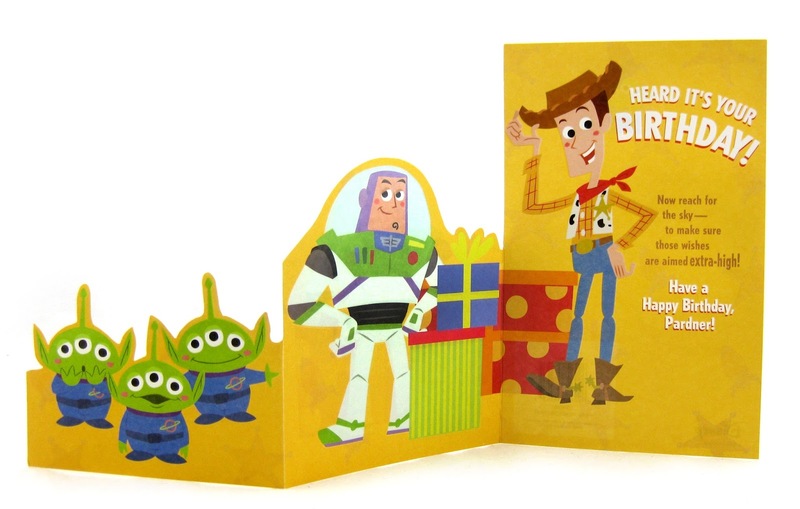 I got one of these for his birthday and one for me to put away (for one of our kid's birthdays someday- hoping that at least one will love Pixar). The card folds out in a cool way and reads: "Now reach for the sky- to make sure those wishes are aimed extra-high! Have a Happy Birthday, Pardner!" You can't tell from the pictures, but the characters have a nice gloss to them, while the backgrounds are matte. It makes for a really nice look and feel! Retail is just $3.69. A big thanks to Instagram account The Pixarist for letting me know of this! After searching three Targets, I was finally able to find it just a few days ago- so be sure to check yours soon if you're interested!